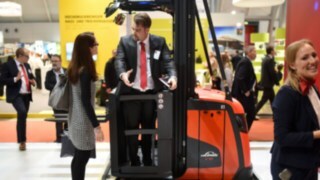 Autonomous trucks or facilities have long been used in intralogistics. But the increasing digitalisation of business processes gives a new dynamism to automation: Automated systems lend themselves to seamless integration with IT processes, and thus take efficiency to a whole new level. 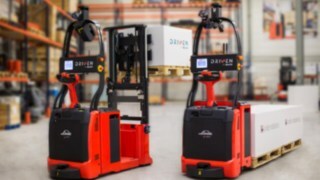 All the same, complex systems such as fully automated shelf warehouses or classic DTS applications are not cost-efficient options in every logistics or production working environment. 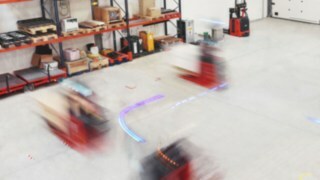 The requirements just keep increasing: Autonomous machines must be able to work in environments alongside people, and assist them in their work, without the risk of accidents. They ought to be able to communicate with other facilities in the infrastructure in real time, in order to ensure a smooth workflow. 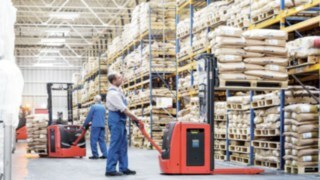 In addition, in many industries the production and logistics processes change just as dynamically as the products and goods themselves. 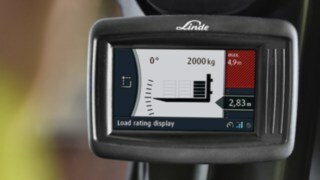 On the basis of a wide range of trucks, and navigational technology that does not require any fixed installation of infrastructure, Linde offers flexible and scalable automation solutions. 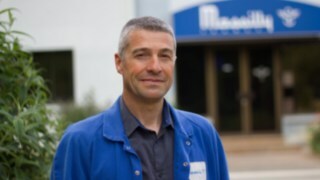 They can be perfectly tailored to specific requirements – even for smaller companies – in order to automate anything, from individual steps in a process to complex material flows, in a cost-effective manner. 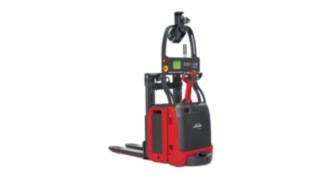 The basis of every robotics solution is the tried and tested standard trucks from Linde’s serial production range. 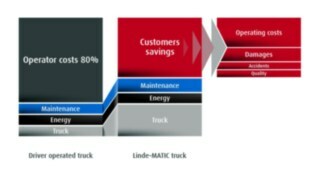 Together with innovative navigation technology, which allows the robotic trucks to orient themselves without mirrors or tracks, Linde’s MATIC range offers a reliable automation solution that helps customers to optimise their internal material flow and significantly reduce costs. 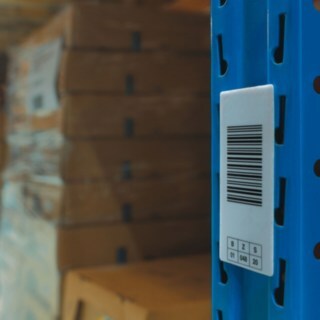 The system recognises structures such as racking, walls, equipment and machines. 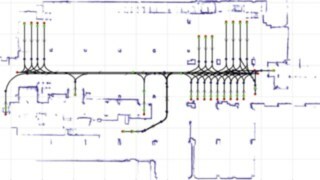 This data is compiled in a two-dimensional map, on which routes and action points such as storage spaces and transfer stations are defined. New routes or spatial alterations are quick and easy to input. 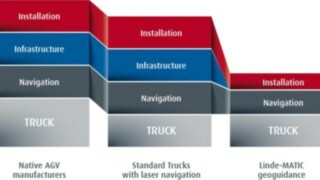 The robotic trucks use the map to determine their position in the area. 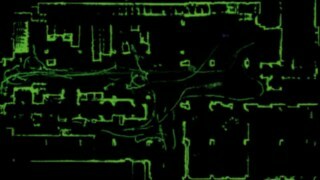 For this purpose, they compare the reference map in real time with the structures around them that the navigation laser currently recognises. 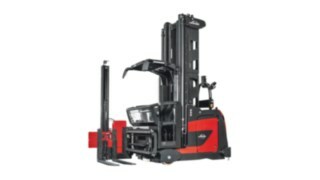 because the safety control of MATIC forklifts reacts dynamically: when an obstacle is recognised, the truck reduces its speed, and simply stops if the person or truck in its way stays there. Even then, it will automatically resume its course when the obstacle has left the monitoring zone of its lasers and camera. 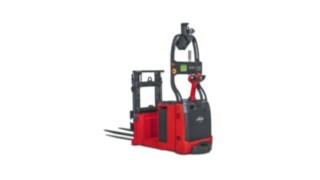 With high and low-platform pallet trucks, tow tractors, counterbalance forklifts, and a high-functionality truck for work in narrow aisles, the autonomous MATIC range covers 80 percent of all handling tasks in production and storage facilities. 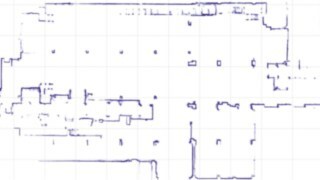 Transparent: The system generates valuable data, which can be used to help precisely optimise the productivity of logistical processes. 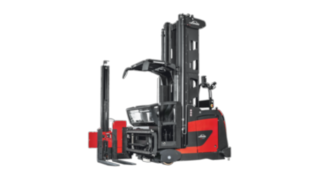 Tight pathways, high lift heights, storage facilities that are difficult to see – narrow aisle storage is cost-effective for companies, but at the same time poses great challenges for the trucks that work there, and their operators. 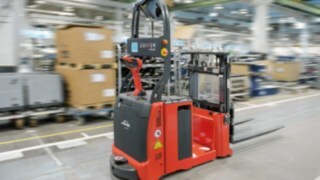 Linde’s narrow aisle navigation significantly improves both productivity and safety, while also reducing the incidence of damage to goods and warehouse facilities. 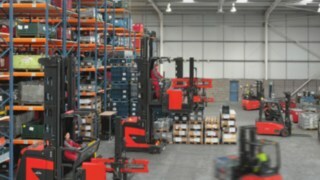 The system is controlled by the customer’s own warehouse management system (WMS). The central system sends target coordinates for the drop-off or picking-up point to the receiver in the truck via a Wi-Fi network. 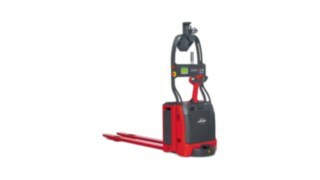 On the way to its destination, the truck then continually checks its current position against its specifications, and determines the best combination of traction and lift movement in order to reach its desired position. 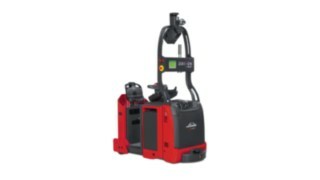 The system assists the operator, and via a display shows them the exact pallet location for a particular product. The operator only has to activate the driving function. This rules out the possibility of a pallet being stored in the wrong place. 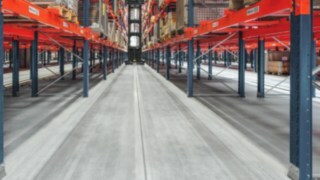 The aisle safety assistant, installed as standard with the narrow aisle navigation technology, recognises marked bumps in the floor as well as obstacles on the shelves, on the floor, or on the ceiling, and limits certain driving functions – such as speed, lifting height and fork extension – in those areas.